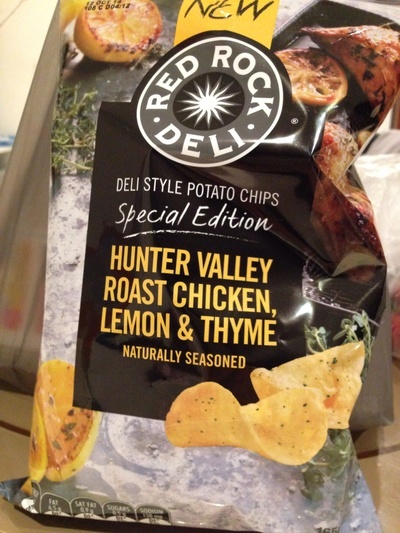 The newest special edition deli style chips by Red Rock Deli. Naturally seasoned Hunter Valley Roast Chicken with Lemon & Thyme. Doesn't it sound gourmet? The packaging is very enticing as well. Great crisps with roast chicken & lemon flavour.